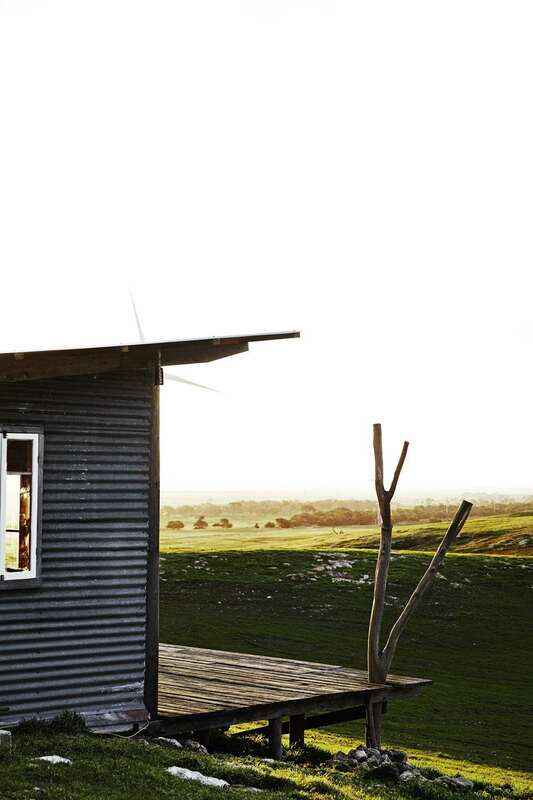 The Hut is built on the family farm at German Flat on the Limestone Coast in the south east of South Australia. It is built into the hillside of the Woakwine Range looking out over Lake Bonney and Canunda National Park. I built the hut over about 7 years, mainly during my university holidays. 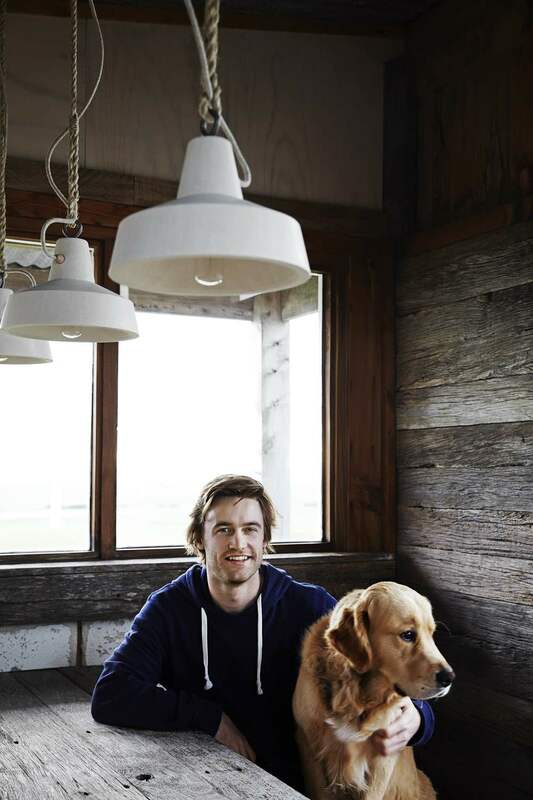 It was a very gradual process which started with building a wood fired oven on the side of a hill. I then slowly collected materials and pieced the structure together whenever I could get a spare day. All of the building materials were salvaged or sourced from the farm. Every single piece has a story of it's previous life. We had to remove some large old Cypress and Spotted Gum trees from the garden when my parents renovated their house. These were then milled and cut into lengths of timber that I used for the roof structure, table tops, doors and window frames. The limestone blocks were all salvaged or offcuts from the same renovation. The roofing metal and other timber was collected from other old surrounding farm structures that had been demolished. The glass was salvaged from an old house renovation and re-cut to size. The design of the cabin is very basic but also very functional. I drew on my architectural studies to choose a site that would provide 360 degrees view but also have a north facing aspect and shelter from the prevailing winds. It was very much a process of design by restriction, meaning the design and form evolved slowly as it was being built. I couldn't design the building completely first as I didn't know exactly where the next materials were coming from, or what they even looked like. The Hut was built as a place for friends and family to hang out and eat, drink and talk. It's very much intended to be a social place where people can come to experience something different and be a part of something simple - like cooking with fire with no modern day distractions. The interior of the hut is a relatively small but cosy space. The main façade is orientated to the north with double doors leading out onto a small deck. Inside, a long dining table that seats about 8 people is positioned to maximise the views over the lake out through the west facing windows. At the other end there is a wood fired over built into the wall and a bench / sink unit. A small hatch door is built into the rear wall next to the oven for easy access to firewood. There is also coil of copper pipe laid around the outer of the wood oven, though which flows rainwater from a small tank outside is to provide hot water when the fire is burning. The floor was constructed using random sized off cut limestone block, like a giant game of Tetris. I have installed also installed some of my limestone lights above the tables and created ledges around the interior for candles. The fire keeps the space so warm that even in the middle of winter on a very cold night, you can sit inside feeling toasty just wearing a t-shirt. The best time to be there is with some friends on a calm autumn night as the sun hits the sand hills in the distance with a roast in the wood-fired oven, a few beers on ice and some good tunes playing in the background.